Around device interaction allows extending the input and output space of mobile devices beyond their physical boundaries. Using affordances of physical objects around mobile devices can create new user experiences which go beyond established touch screen or mid-air interaction. 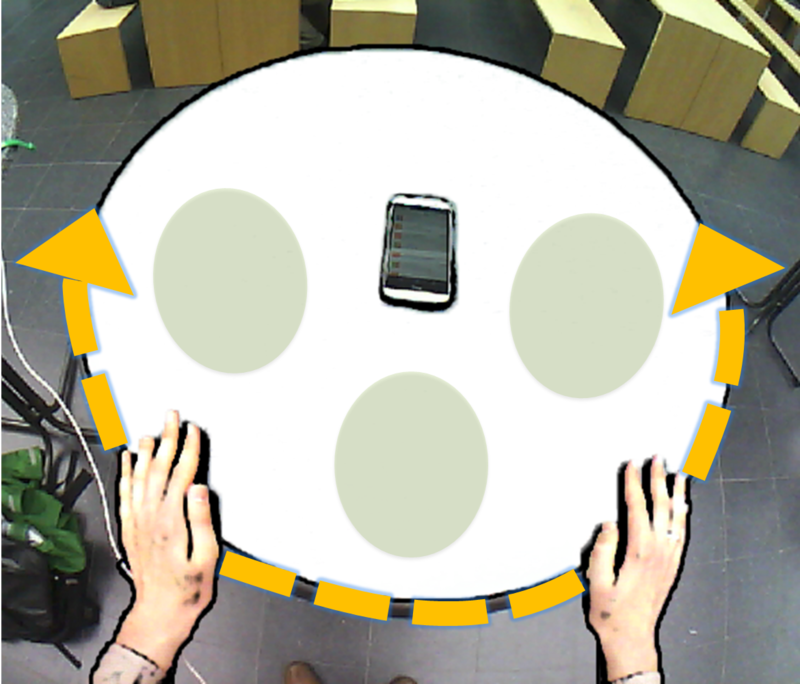 Imagine putting your smartphone on a table and spontaneously using the table as input device. For example, the edges of the table could be repurposed as physical sliders or table regions around the smartphone could be used to quickly access documents and apps utilizing proprioceptive memory. This project can be adapted for master projects and master theses.